Gutter cleaning is a filthy and tedious process. 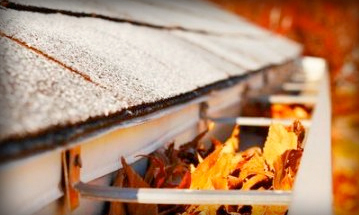 Depending on the height of your gutters, you might end up spending hours cleaning them. In addition, if you are unfamiliar with gutter cleaning, attempting to do the job yourself is not only dangerous; you might end up damaging your gutters. If you require gutter cleaning in the Twin Cities, the professionals at Landscape Design Minneapolis have more than thirty years of experience. We are devoted to providing our Minnesota clients with superior service, especially during fall and spring. We’ll keep your gutters working properly. Gutter cleaning might seem like a relatively easy procedure. What you may not consider is that the process can be very hazardous. 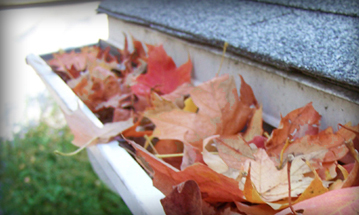 Fallen leaves are usually the reason that our gutters are clogged. However, the function of a gutter can be hindered by dirt, rubble, insects, and animal droppings. When put together, these elements can generate a very nasty smell. 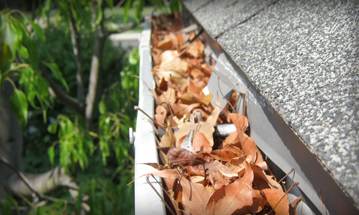 Let the professionals at Landscape Design Minneapolis manage the process of keeping your gutters clean. Our team works rapidly, effectively and carefully during all of our Twin Cities projects, and we do so at a price that is within your budget. We offer our clients and potential clients a range of services intended to improve the outdoor look of your residence as well as increase the lifespan and function of your gutters. You can trust our team of experienced technicians to deliver a superior service, achieved with up-to-date training, equipment and professionalism. In our experience, obtaining the help of a gutter cleaning professional will end up saving you money in the long run. If you would like to learn more about our services, contact one of our friendly staff members by calling 952-905-0105. We look forward to learning about your specific needs.